Perfect, excellent, and … . I think you are the great astroartist. Excellent work! You have amazing skills. 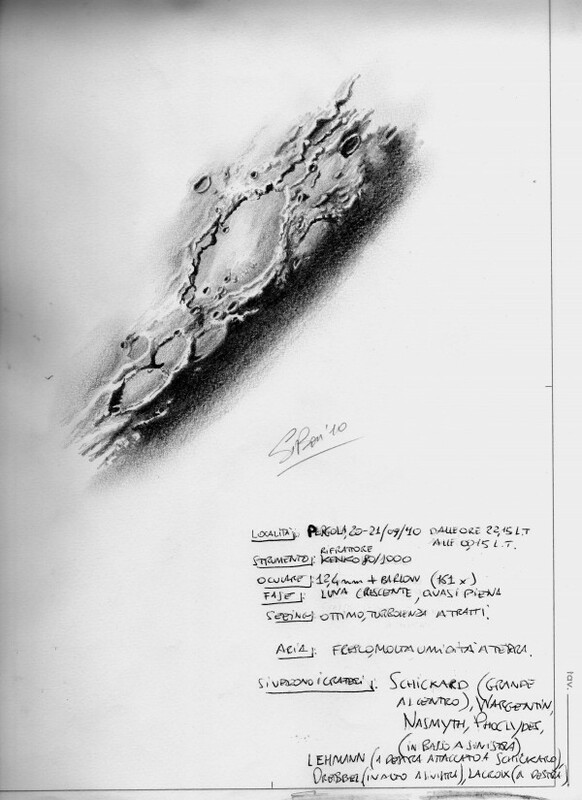 This sketch looks like a real Moon surface. I am completely amazed. You have outdone yourself. Stunning beautiful capture. The sketch seems to be floating above the page. Sketching does not get better than this! Very very good sketch! A realistic view of the moon, it remaind me the old maps of the moon before the photo era. Thank you at all for your great words.Incredible evening those of sketch.i am very tired after work,but my desire to made one moon sketch was great.than i see the wire of motor broken…i am in depression but i repared the wire and i started for made that sketch. I am excited to read your comments….many , many thanks at all my friends artists !!! Ciao a tutti e cieli sereni e grandi disegni,Giorgio.